Share the post "Uterine Embolization and You"
Questioning whether embolization is right for you? No problem! Many other women , like you, are looking into whether embolization can help treat their fibroid problem. I recently found out that I have 3 fibroids, the biggest being 5 cm, the second a little bigger than 3 cm and the third a little bigger than 1 cm, is the embolization right for me? I am 37 years old and have no children, I would like at least 1 child, hysterectomy is not an option I want right now, the embolization was not even mentioned to me, I found it online. We’re glad that you were able to take it upon yourself and look up alternative fibroid treatment methods. Embolization would be a great option for you if you are looking into a gentler, less-invasive treatment that allows you to treat fibroids non-surgically. 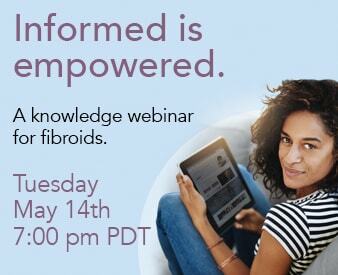 We would love to have the opportunity to answer all of your fibroid-related questions. You can call the Fibroid Treatment Collective at 866-362-6463 or send us an email at patientcoordinator@fibroids.comand one of the healthcare specialists will be happy to assist you.